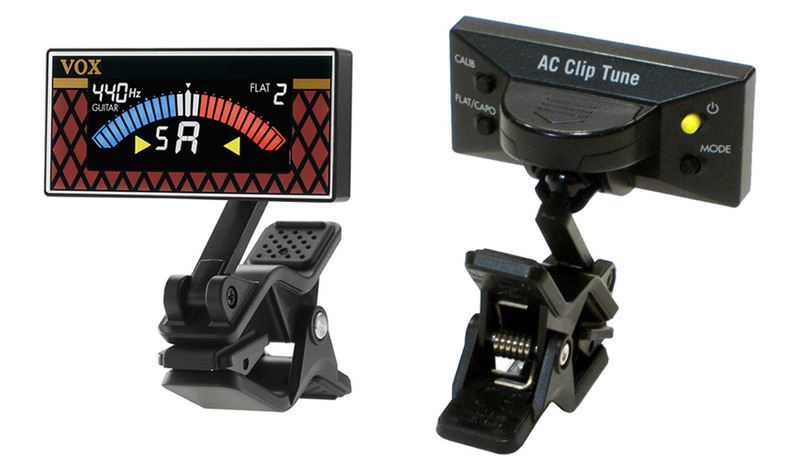 The Vox AC Clip Tune was an instrument tuner that offered chromatic, guitar and bass guitar tuning modes and a backlit LCD color display. The display was mounted to an adjustable swivel for easy viewing. 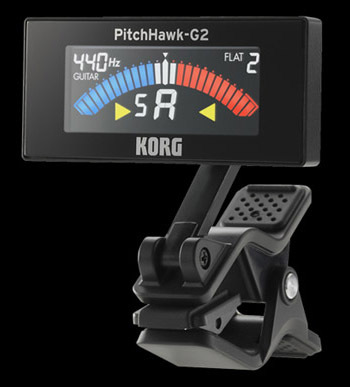 Korg produced an identical version of the tuner as the "PitchHawk-G2," less the Vox branding (see photo at left). The Vox AC Clip Tune required no cables. The tuner clipped to the head stock of an instrument and measured the vibrations of the pitch frequency through an internal piezoelectric transducer. The tuner featured four buttons. A yellow power button turned the tuner on. A "Mode" button selected between chromatic, guitar and bass tuning functions. The "Flat/Capo" button allowed the tuner to be adjusted down 1 to 5 semitones. The "Calibrate" button provided an adjustment range of + 5 semitones to match tuning with a keyboard or piano. A single CR2032 powered the tuner for up to eight hours of operation. To conserve battery life, the tuner automatically powered down after three minutes of inactivity. The Vox AC Clip Tune retailed for $29.99 USD.